On Sunday in Preston, Idaho, a community of 5,000 in far southeastern Idaho, a 37 year old man shot his 15-year-old stepson, his 7-year-old son, and his 6-year-old daughter, then turned the weapon on himself. The children’s mother, Summer Layton Spillett, was out of town when the murder-suicide took place. According to news, the couple were in the process of getting a divorce. While we do not know the details, we know that the killing of children followed by the suicide of a perpetrator is often related to the relationship between intimate partner violence, control, and emotional capital. For instance, an emotional continuum can help us understand the range of perpetrators’ emotional styles, especially in relation to their management of anger, rage, hostility and aggression. Not surprisingly, when familicide occurs, it exacts a heavy toll on communities. Advocates can also be impacted by secondary trauma with symptoms ranging from numbness and avoidance of feelings, depression, anxiety, self-medication, overworking and compulsive eating. Advocates need to know how to identify and manage symptoms; and how to process and integrate traumatic events. Self-care plans are essential. Boundaries are needed as well as a need for respite. Sit down – Hearing this kind of news can literally take your breath away. Ask staff to have a seat before telling them what has happened, it will help them absorb the shock. Differences in grieving – Normalize that how we grieve is as individual as who we are, and our cultural, personal, and religious backgrounds all play a role in our responses. Self-care – all the things we know to tell survivors we need to do ourselves – drink water, deep breathing, rest, slow down, reach out to others, fresh air, let go of unnecessary tasks. Earlier this week, Representative Chaney introduced HOUSE BILL NO. 198 in the House State Affairs Committee creating punishments for governmental entities such as cities that seek to create sanctuary cities. The bill states that a “governmental entity shall not adopt, enforce or endorse a policy under which the entity prohibits or discourages cooperation with the enforcement of immigration laws.” Any governmental entity found in noncompliance will not be eligible for 50% of sales tax appropriations. At its core, it is a bill that embodies anti-immigrant sentiments and fosters a climate of hate and discrimination. It is exactly the anti-immigrant sentiment in this bill that will create a significant risk to women and children and anyone who is an immigrant that is experiencing domestic violence, sexual assault, or stalking. House Bill 198 will have a chilling effect of anyone seeking safety and accountability through Idaho’s domestic and sexual violence laws and life-saving services – from deterring immigrant victims from seeking emergency shelter at a community domestic and sexual violence program to seeking civil protection orders through the courts to reaching out to local law enforcement for immediate intervention in a violent household. The Violence Against Women Act originally passed in 1994 and most recently reauthorized in 2013 with the co-sponsorship and national leadership of Senator Mike Crapo recognizes the acute challenges faced by immigrant and undocumented survivors and provides important protections for them to come forward to be able to seek safety and to hold perpetrators accountable. This includes Violence Against Women Act provisions to protect the confidentiality of immigrant victims and prevent ICE from engaging in enforcement actions in sensitive locations, such as a courthouse where a victim is seeking an order of protection, and to prevent them from doing so based on information furnished by an abuser. These provisions recognize that abusers leverage victims’ fear of ICE to prevent victims from seeking help, and seek to prevent ICE from being a tool of abuse.” We believe that House Bill 198 violates the Violence Against Women Act. House Bill 198 creates a dangerous and chilling effect for all immigrant survivors of domestic and sexual violence, further marginalizing survivors as they consider reaching out to community programs, law enforcement or the courts. Immigrant victims will be afraid to report crimes or agree to be witnesses for fear of deportation. It exacerbates the already strong reluctance and fear of reporting domestic violence and sexual assault crimes. Some survivors have already described ways in which the police and the criminal justice system cause further harm rather than providing protection and this bill would increase the likelihood of stories like these. Survivors of domestic violence, sexual assault and stalking already face numerous barriers in accessing safety. This legislation will only serve to push these victims further into the shadows. When crimes go unreported and people are afraid to work with local law enforcement to solve them, we are all less safe. Everyone deserves the right to dial 911 when in danger. Fostering fear and terror among Idaho’s immigrants is not just unconscionable, but it also undermines the stability of all our communities and the safety of every Idahoan. We strongly urge all of Idaho’s advocates to contact your local legislators and express your concern about the harmful consequences of this legislation. Many of the individuals who are impacted by domestic violence or stalking are experiencing violence through various forms of technology. For advocates working in the field, it’s often difficult to stay up to date with the most recent forms of technology that are being used to harass or harm. 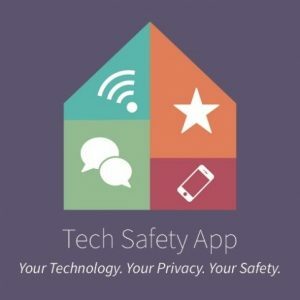 The National Network to End Domestic Violence Safety Net team has recently developed a Tech Safety app. The app helps users identify the various ways technology is misused and helps identify steps to enhance safety and privacy. For more information on the various forms of technology that are often used by individuals who perpetrate domestic violence or stalking, contact Jennifer Landhuis.